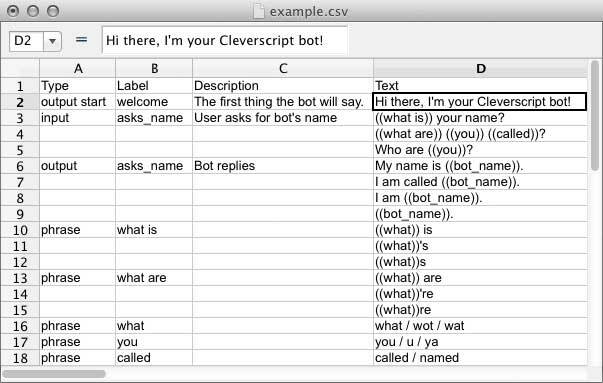 Sign up for our Bot Builder to access all the features of Cleverscript. You will be able to upload a specially designed spreadsheet, and we’ll turn it into a bot. Then you can use your JSON API to communicate with your bot. This package provides up to 5,000 API calls per month.